A broken air conditioner in Fishers is bad news, considering hot hot it gets in the summer. When you need air conditioning repairs, you need them fast, from a reliable company that isn’t going to charge you zillions of dollars. 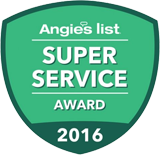 When you choose Service Plus for your AC repairs we will be on time, courteous, and professional. We understand how frustrating a hot house can be, so we do everything possible to finish your AC repairs quickly and flawlessly. Experienced, certified technicians specializing in air conditioning repair and replacement service. A dedicated fleet of service vehicles and a large inventory of AC parts. The majority of repair calls completed on the 1st visit. Straight forward pricing, allowing you to know the cost before buying. Ready for your home to be cool and comfortable again? Contact us now! Old system, new system, broken system, or a system with a hiccup—It doesn’t matter! Service Plus is here to fix your problem. We even offer a FREE carbon monoxide check with every AC repair service. When Should You Call for AC Repairs? Typically, your air conditioner will tell you when it needs repairs. If you notice any of the following, give us a call right away! Unusually high energy bills: Energy bills in Fishers remain pretty steady, and if they suddenly spike, it’s probably your air conditioner. Air conditioners that aren’t functioning properly use more energy, and therefore cost you more money. Warm air coming from the vents: An air conditioner has one job (well, two if you include humidity control). If it can’t keep your home cool, there’s something wrong. Don’t keep turning down your thermostat – that could raise your bills even higher, and break your air conditioner past the point of no return. Musty, strange smells coming from the vents: Your air conditioner should not be adding scents to your home, and especially not musty ones. If you smell something odd and figure out it’s coming from the vents, call for AC repair services. Frequent cycling: If your air conditioner turns off and on multiple times per hour, something isn’t right. A lot of times, homeowners think a larger air conditioner will be more energy-efficient, but if your AC is too large for your home, it will cycle frequently, using more energy to turn itself off and on again. If your AC is too large, sorry, you’ll need a replacement. But if you’re 100% sure your AC is the right size, check your thermostat. If it’s functioning properly, call for repairs. Overly dirty air filters: You should change your air filter every 1-3 months depending on the type you have. But if you find yourself needing to change it more than once a month, you may need to clean your ducts or get your AC repaired. Frozen outdoor unit: If your outdoor unit is frozen, it’s probably an airflow issue or a refrigeration issue. If you find your outdoor unit covered in ice, turn off the system and call us. We’re a local company, so we know the ins and outs of all AC systems in Fishers. We are a licensed, bonded, and insured company. What does this mean for you? It insures the protection of your property as well as the professionalism of our workmanship. Is your air conditioner making it difficult to have a steady, comfortable environment in your home? Contact us today and schedule your AC repair in Fishers!